I am slowly, S-L-O-W-L-Y, coloring in the world on my WordPress stats page, which is really, really exciting. I know, I know, I live a sheltered life. Nonetheless, it is fascinating and wonderful, this blogging world, and I appreciate every single person who actually reads something I wrote. I hope it was enlightening, entertaining, or funny or….something. But, please, will SOMEBODY in Greenland read one of my blog posts? PLEASE? Greenland is a very large slice of real estate that remains uncolored on my WordPress map- nobody from Greenland has yet read a post of mine. 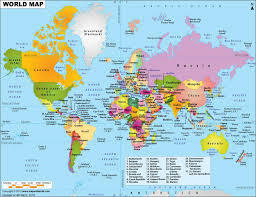 Would someone from Greenland please read one, so that that tempting piece of the map will turn yellow for me? This entry was posted in Life, Uncategorized and tagged blogging, color, enlightening, entertaining, funny, Greenland, life, map, one, please, post, read, real estate, stats, thank you, Wordpress, world, yellow. Bookmark the permalink. All I have left is Cuba and North Korea. I know no one in either, unfortunately. Good luck with your map quest! !